Now doing facial at home can’t get easier and with such amazing home ingredients, your oily skin is bound to look soft and flowing! I have always had very sensitive skin and so whenever I used to get my monthly facial done, my skin would always break into a rash. And also being oily, my skin was always at a risk of pimples and breakouts. That’s when I decided to give these facials a miss and try some all natural homemade stuff. And believe you me, the results were no less than a professional facial. So sharing a few of those home facial tips for oily skin. 1. 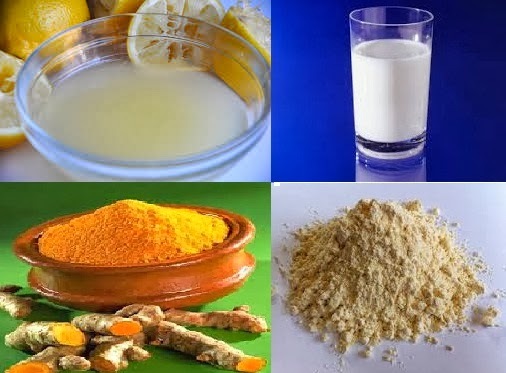 Gram flour, turmeric, lemon and milk scrub: Exfoliation is an integral part of all professional facials, so we would start with exfoliating our skin but with an all natural homemade scrub. Take 2 tbsp gram flour in a bowl. Now add a pinch of turmeric, a few drops of lemon juice and 2 tbsp raw milk to it. Mix well to form a thick paste. Now spread this paste on your face and let it sit for 20 minutes. Now once it dries, scrub it off your face with a gentle circular motion of your fingers. This scrub deep cleanses the skin, removing the dead cells and blackheads, giving away softer, clearer, glowing skin. 2. 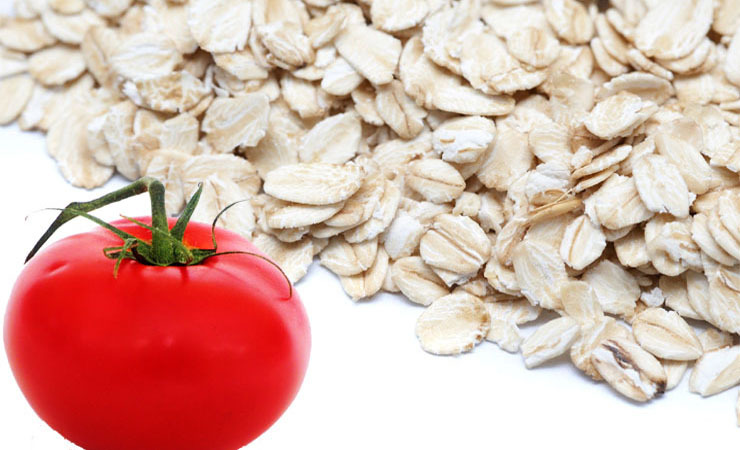 Tomato and oat scrub: Here is yet another scrub for your oily skin. Take a ripe tomato and mash it well. Now add 2 tbsp ground oats to it. Make sure they are only half ground and not very finely ground to help with scrubbing. You could also add 1 tsp granulated sugar to it. Mix them all together. Now use this mixture to scrub your face in a circular motion for 5-7 minutes and wash with water. Tomato has extra ordinary bleaching properties and oat takes care of any acne scars and blemishes leading to a visibly attractive skin. 3. Fullers Earth clay mask: Follow up this exfoliation with a homemade mask. Fullers Earth or Multani Mitti is one of the best natural remedies to cleanse the skin of dirt and oil and also known to treat acne and pimples effectively. So take 2 tbsp Fullers Earth powder, 1 tbsp rose water and add a few drops of lemon juice to it. Apply this mask evenly to your face and neck. Let it sit for 20 minutes and then rinse with lukewarm water to get fresh, clear, oil-free skin. 4. 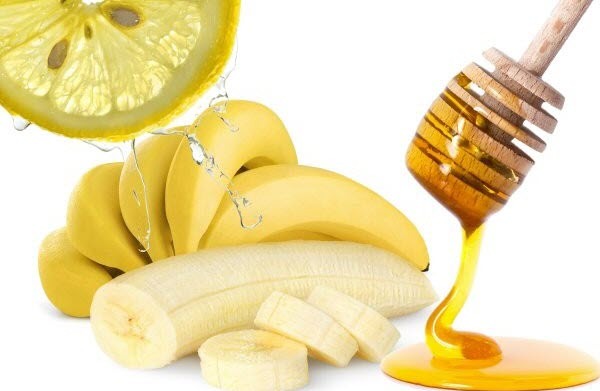 Banana face mask: Take a ripe banana and add 1 tbsp honey and the juice of 1/2 a lemon to it. Mix them all together in a blender to get a smooth paste. Now apply this paste to your face and leave it on for 15 minutes. Later wash your face with lukewarm water and the results will be refreshed, clean skin sans that unsightly shine. 5. Fruit astringents for oily skin: Because your skin is oily, using an astringent should be an essential part of your skin care regimen. Certain fruits like orange, papaya, lemon and grapefruit are loaded with Vitamin C and make for excellent astringents that work to treat greasy and oily skins. Natural astringent attributes of these fruits help tighten pores, reduce oil secretion and gives your skin a clean, oil free, healthy look. 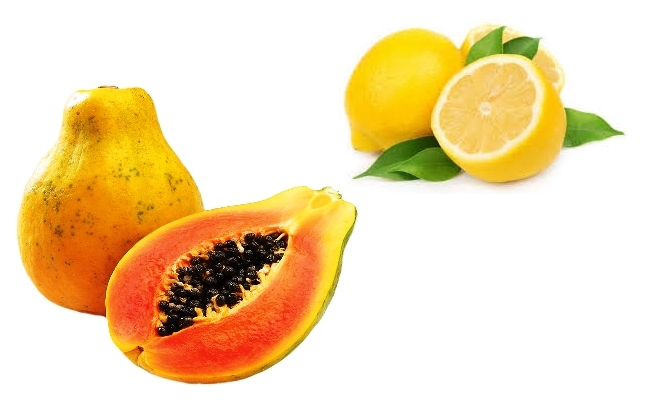 So use the pulp of these fruits as an all-natural astringent for your face. 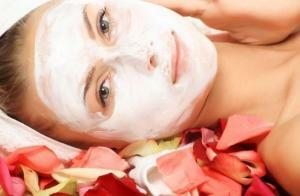 So give this all natural home facial a try, and rest assured the results would be nothing short of spectacular.